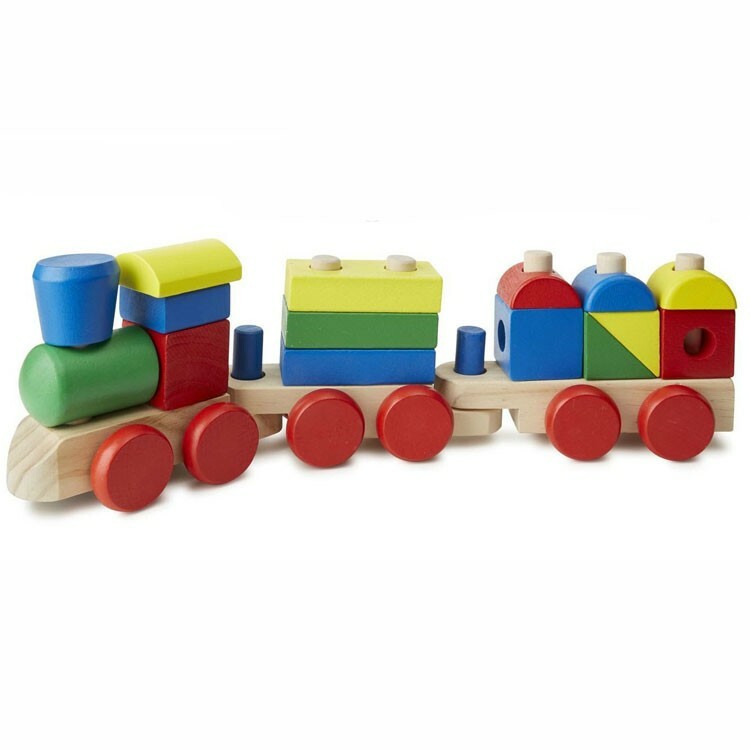 Stacking Train Wooden Toddler Toy by Melissa & Doug consists of 18 colorful stacking blocks. All little boys and girls love this colorful building blocks set! 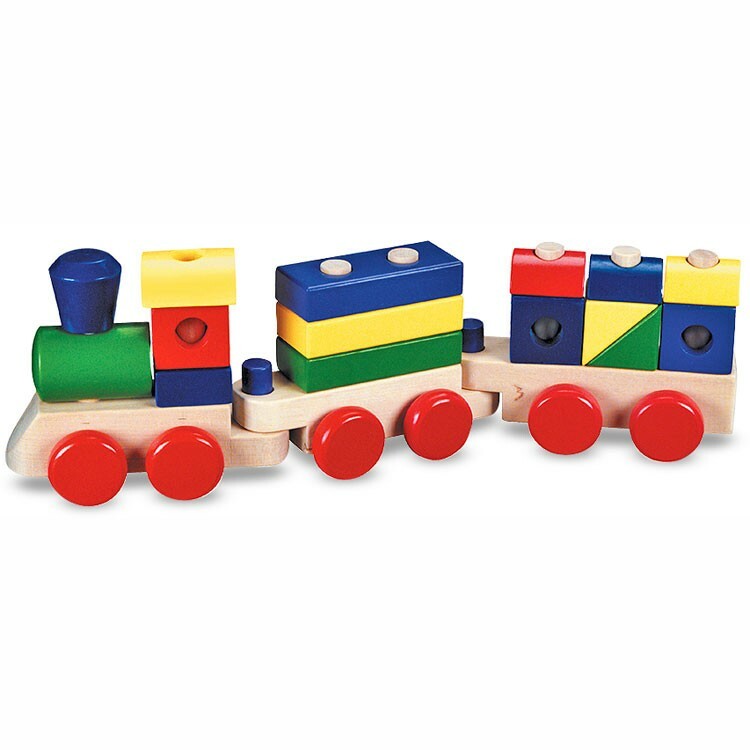 Stacking Train Wooden Toddler Toy by Melissa & Doug consists of 18 colorful stacking blocks. The solidly built engine and multicolored freight cars have sturdy pegs for linking the cars and stacking the cargo blocks. 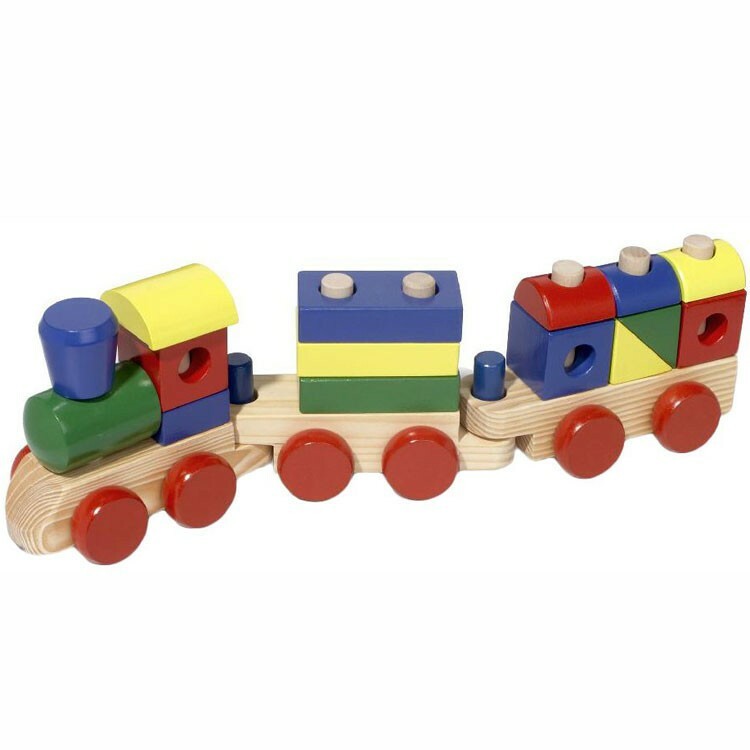 You mix and match the wooden pieces to build an choo-choo express of your own, or put them in the right order on the interlocking wheeled bases. 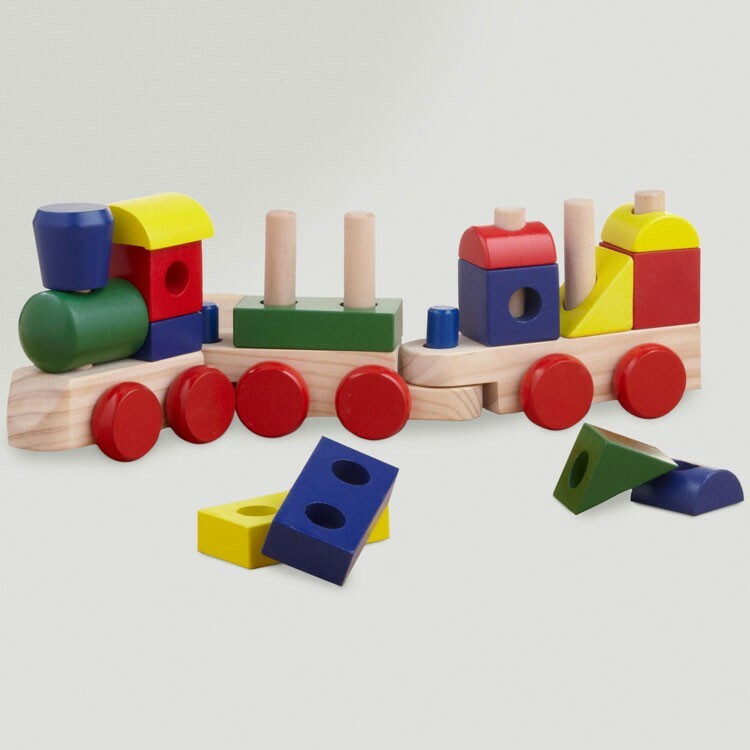 You can also expand your child's activities with the Stacking Train Wooden Toddler Toy to blocks count, shapes identification, color classification, and more. This toddler manipulative activity toy from Educational Toys Planet brings hours of fun at home or in the preschool classroom. 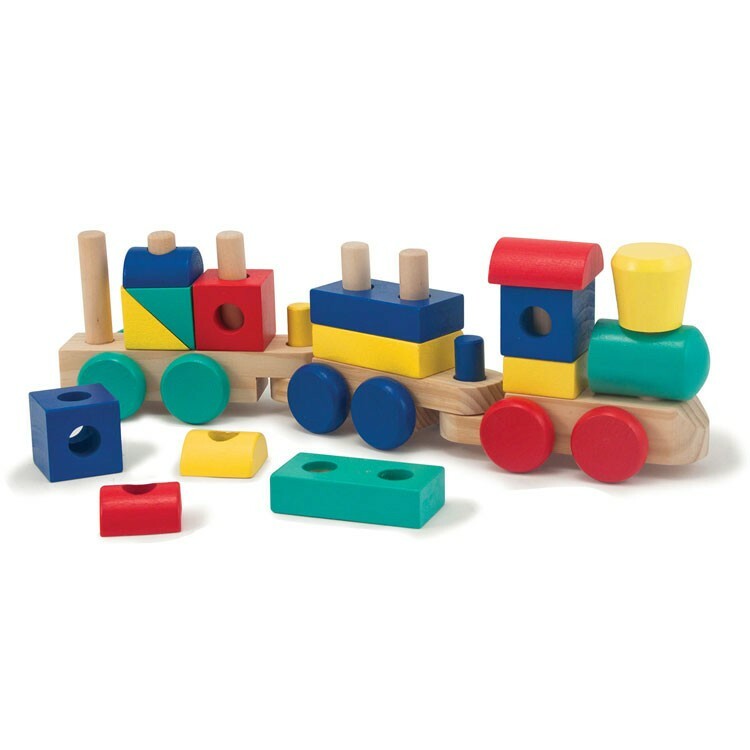 Dimensions of package 3.5" x 18.2" x 5.5"
Write your own review of Stacking Train Wooden Toddler Toy. Rating: 5 by Marina, NY My daughter is almost 7, and she's still playing with this train. So, I just bought it as a gift for my 2 year old nephew. I am sure, he'll enjoy playing with it, too. Excellent toy! Thank you. Rating: 5 by Nancy, AL Just what we wanted.